Powl's Speedometer, your repair specialists, offering full auto repair, emissions testing, and maintenance, as well as specializing in speedometer repair, speedometer calibration, and mileage setting. Tire size, rear end ratio, and transmission changes will affect your speedometer calibration. Powls can test your vehicle's entire speedometer system for accuracy, and, if neccessary, make any corrections needed. Don't buy a replacement electronic D.R.A.C. module; Powls can recalibrate your existing unit. Is your Electronic Speedometer and Odometer reading inaccurate? Does it need calibrated? Powl's Speedometer has the solution. 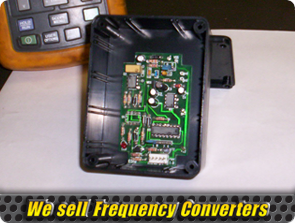 About the size of a deck of cards with 4 simple wires, our electronic frequency converter can be installed in your vehicle. 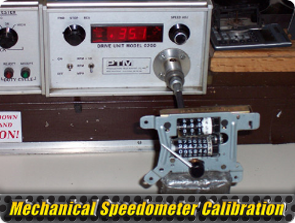 We can calibrate any electronic speedometer on the market! Powl's Speedometer can program mileage on electronic speedometers as well as set mileage on older mechanical speedometers. © 2019 Powl's Speedometer & Auto Repair, all rights reserved worldwide.